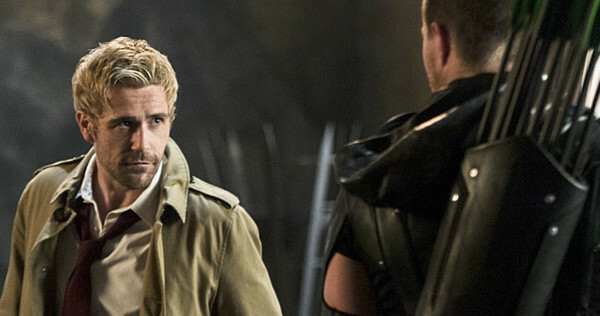 Arrow season 4 episode 5 brought back a familiar face in the form of Constantine, who had a big part to play in bringing Sara back to her normal, non-crazy self. 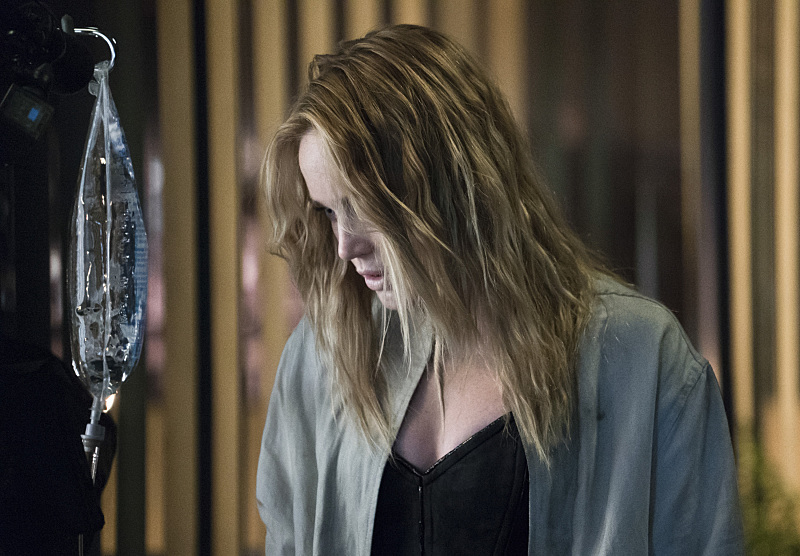 It was a magical episode, so let’s discuss Arrow season 4 episode 5! The name is John Constantine, didn’t you get his business card? I am so glad that this happened. For those who are unaware the character of Constantine was originally on NBC’s Constantine TV show, before it was cancelled. Now that show may have not been off to the best start, but it definitely improved and had a lot of potential. The world of Constantine is incredibly interesting, the world of dark magic and the characters he surrounded himself with. The show was setting up some great things like Spectre, so it’s a shame we won’t get to see it anymore. But at least we got a little bit of Constantine on this episode of Arrow. His return was quite natural on the show. Sara is back from the dead and is out trying to kill Thea. We know that Sara doesn’t have her soul and has a constant desire to kill the one who killed her. Thea has the same desire, but unfortunately it’s an itch she can’t scratch, because Ra’s is already dead. Constantine’s job this episode was to bring Sara’s soul back, which he did successfully. His character fit well with the rest of the characters, and his bluntness and sarcasm provided a perfect balance to the otherwise serious and dramatic world of Arrow. What’s surprising is that the first time we see Constantine, we meet him on the island. Damn Oliver runs into all kinds of people on that island! Constantine goes to the island to find some kind of magical item, that apparently has the power to transfer things onto other people. That explains the tattoo on him, which can apparently help him later on? Constantine is also aware of Damien Darhk, as if not ask him to stick around and help? I definitely think they should bring back Constantine later on in the show. He clearly knows his stuff, and with a villain like Darhk, I’m sure he would know how to take him down. Right now it seems like we won’t be seeing Constantine again, but hopefully if the reaction to this episode is good, we will. 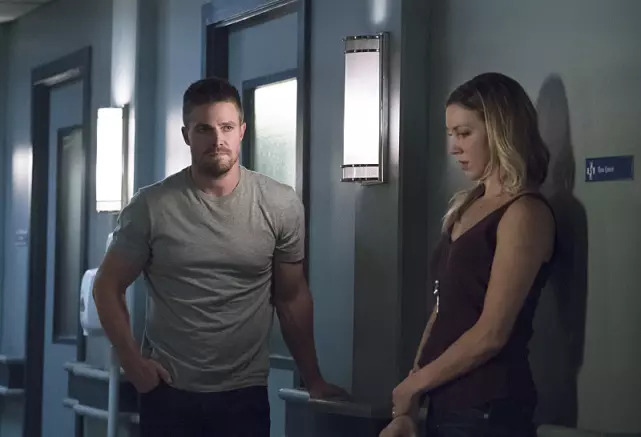 This episode also featured a lot more Laurel/Oliver interaction. Ever since Olicity started to happen, we’ve seen less and less one-on-one scenes between Oliver and Laurel. At the beginning Laurel was his world, oh how things have changed. The pair of them have a lot of history together, and it would be interesting to see that relationship rebuild again to what it was before. But first they need to write Laurel’s character better. Laurel has the potential to be a great character, but I often feel like the writers are limiting her character development to quick angry outbursts, and nothing more. We need to see more emotions from her, more quiet moments. I hope that now Sara is okay, we’ll see more strong character moments from Laurel. Then we have the mystery of Diggle’s brother. Since the beginning of the show Diggle has been trying to figure out who killed his brother and why. He figured out the who, but he didn’t figure out the why until now. His brother was apparently some crime lord that posed a thread to Darhk. Now I’m sure we’ll find out more about this, because this story has been building for 3 seasons now, so there must be a lot of back story to the actions of Diggle’s brother. Remember H.I.V.E was mentioned way back in season one, so this arc has been in development for a long time. At the end of Arrow season 4 episode 5 Felicity finally found out the truth we have known this whole time, Ray isn’t dead! But she still doesn’t know about the whole him being super small thing yet. Next week Team Arrow are on the hunt to find and save Ray who has apparently been captured by Damien Darhk. I really hope that we see some kind of flashback of his small adventures, that would be a lot of fun. Overall Arrow season 4 episode 5 was a great episode that did the wonderful thing of bringing back Constantine! Looking back at season one, who would have thought we would be here, having a full on magical episode? Looking forward to the return of Ray next week! Constantine was a natural fit for the Arrowverse, and hopefully there’ll be more of him later. I can’t imagine him not making another appearance to take down Darhk, giving Team Arrow an edge with their sorcerer versus HIVE’s. I think it’d probably work the way other crossovers or guest appearances between Flash and Arrow go about, just have them appear once in a while during the season, like what happened with Flash season 1 and Arrow season 3, both heroes helping each other out with the big threats they’re facing near the end, something like that. Yeah they keep saying he won’t be coming back, but as if not use him to help the team take down Darhk, it just makes sense to bring him back! Seriously, if they don’t bring him back, they’re making the biggest mistake ever. This episode gave me more of an appetite for his character than ever, and I’m sure others feel the same. 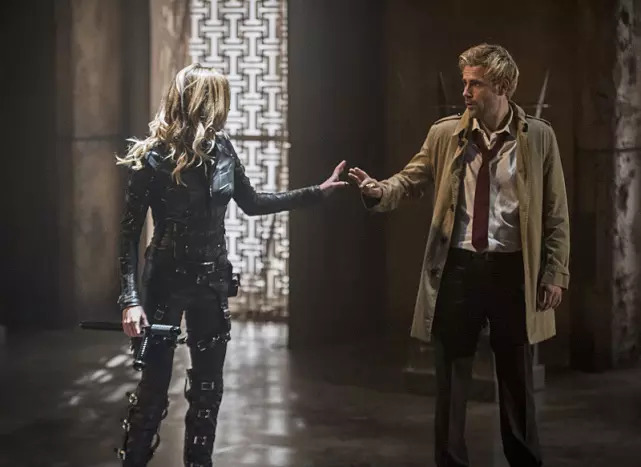 It’s teasing a much larger and pretty darn interesting universe that Constantine can show us, and his sardonic nature plays off the Arrowverse nicely (wouldn’t mind him showing up in The Flash, either; he and Earth-2 Harry can have a sass-off). On another note, it’s great to have Sara back in full swing again; even Evil Sara was fun. I’d forgotten how much I really missed her character. He would add an interesting layer to the world. Hopefully we can see him again, even working with the Legends of Tomorrow team later on or something. And yeah it’s great to have Sara back! They should have introduced Constantine this way to build the character for viewers prior to launching a stand alone TV show. People have/had very little knowledge of him hence its demise. I don’t know, to me it felt kinda slapped on and rushed. Maybe that’s because I didn’t watch Constantine. I saw part of the movie, which didn’t really thrill me. The trailers for the show made it look pretty dark, which isn’t my usual thing. And while I admit he was mildly intriguing in this episode, if THIS was the big appetite-whetting for Constantine… then I’d say they could have done better. 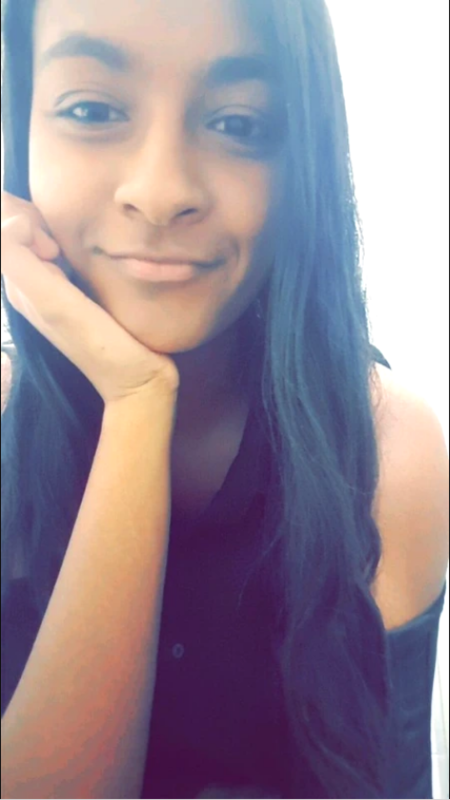 It left me a little curious, but not exactly eager for more. Also, judging by Constantine’s reaction, I’m betting he’d prefer staying far away from Damien, so not really interested in helping Team Arrow do anything but run. But, then again, he probably doesn’t know Damien’s weak spot, and his expertise might be called on again near the finale. Haha that’s good to hear! With the way shows have come back after reruns on another channel, it wouldn’t be surprising if Constantine came back after reruns on El Rey. Heck, back in Arrow season 2 Barry was supposed to make 3 appearances before Flash launched, then at last minute they made it 2, so same could happen with Constantine here.